This is one of our most amazing products! As Nutella fanatics, we have been searching for a healthier, all-natural alternative that also had that incredible, addicting flavor. 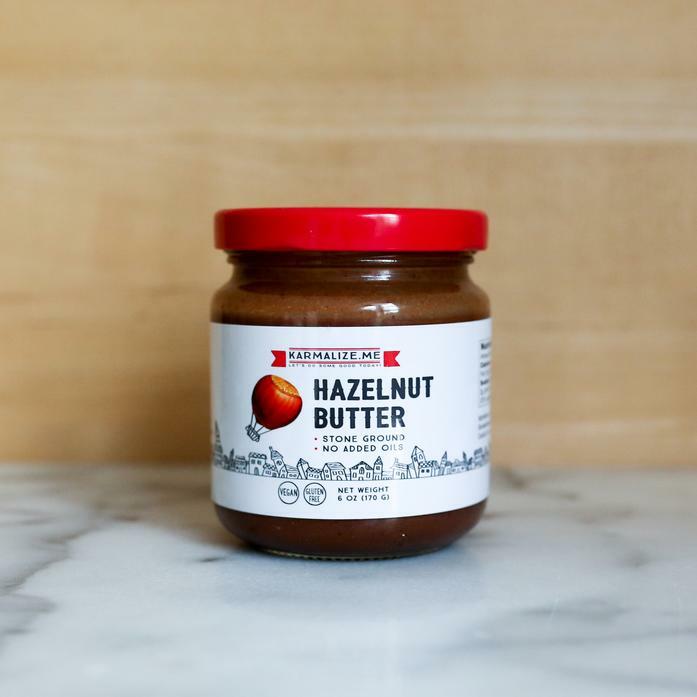 This hazelnut butter is made out of premium quality raw hazelnuts that are slow stone-ground, thus retaining their high nutritional value. The sweetness comes from unrefined organic coconut sugar which has very low glycemic load and all the natural minerals still intact. When combined with organic cocoa and unsweetened dark chocolate you get a rich and delicious spread. Ingredients: Hazelnuts, low glycemic organic coconut palm sugar, premium unsweetened chocolate, cocoa powder, vanilla extract, sea salt.